Do you have a MyPhone? Want to win 1 Million pesos? 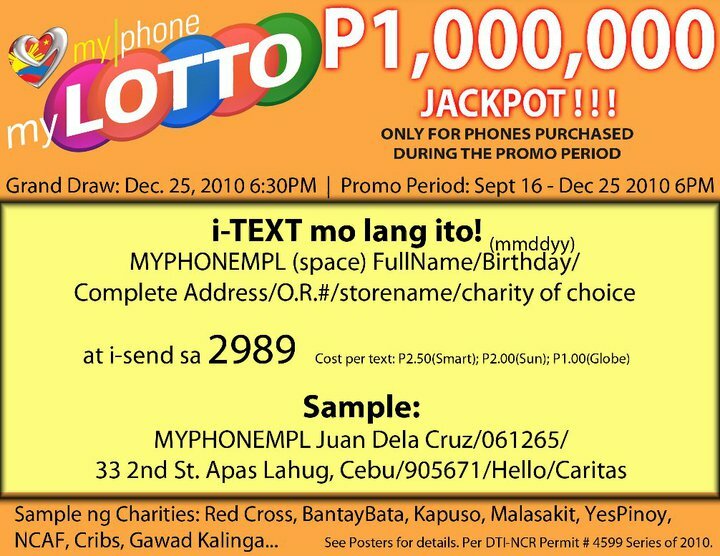 Then here is your chance because MyPhone is now having a lotto until December 25, 2010. Even if you don't have a MyPhone yet, you can also join their promo. 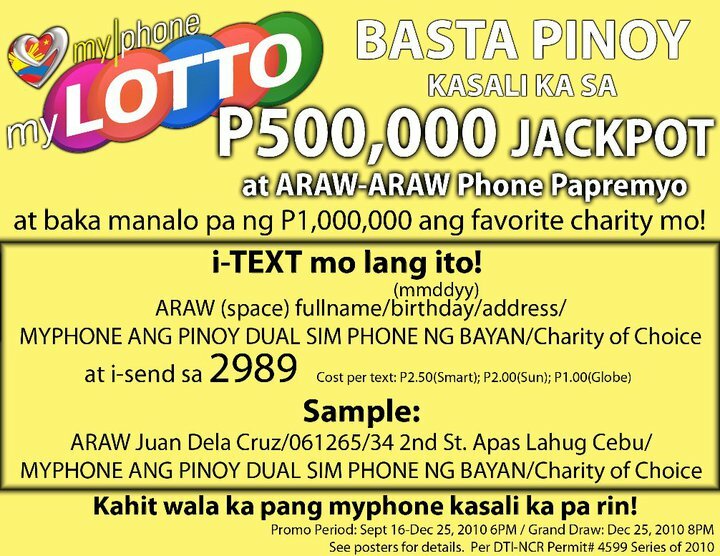 Check out the photos below for details about the promo. 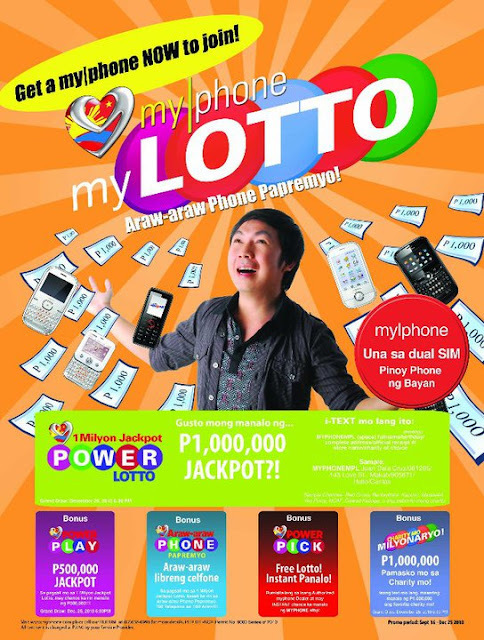 Don't forget to join the MyPhone Facebook Page.